A very hardy, native, fairly rapid growing, medium to tall tree. 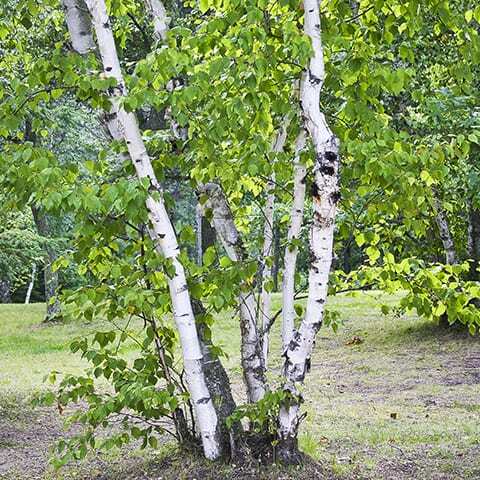 White bark that peels off in strips; some what borer resistant; best grown in a northern climate; easy to transplant; not pollution tolerant; casts light shade; shallow roots. White bark is turning chalk-white as tree matures, leaves are dull green. Fruit is long-slender green catkin turning brown as maturity. Twigs turn dark reddish brown.